It happened so, that I’ve got 2 WordPress related articles in the row. 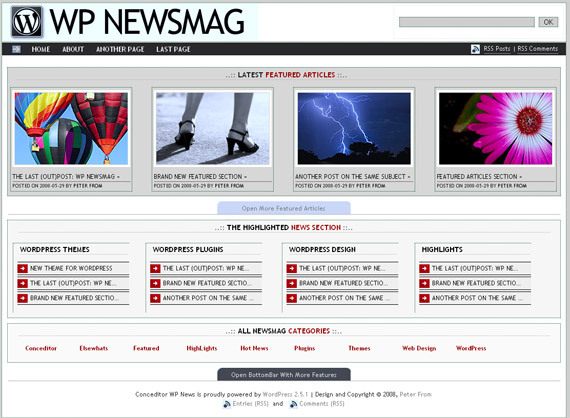 Again I worked very hard on this one post this time offering 60 really premium like WordPress magazine news themes. 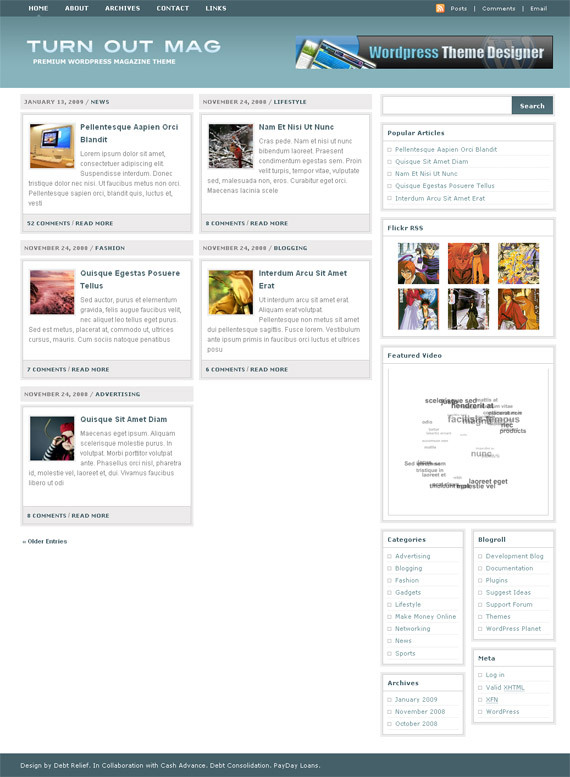 Such themes are very handy if you have to display a lot of information on your site. For example this site should implement much more magazine type features, which still are on process – as featured slideshow, better sidebar usage showing even more posts from archives. Magazine type themes help to display and catch visitors attention making him stay on the page longer – which rewards in page-views and visit length time. Well, just go through this article, enjoy quality and huge images and pick your new theme! And to explain myself, I did images so big because I wanted to give the best overview comparing rapidly all the themes just scrolling through this article, not visiting every page one by one. 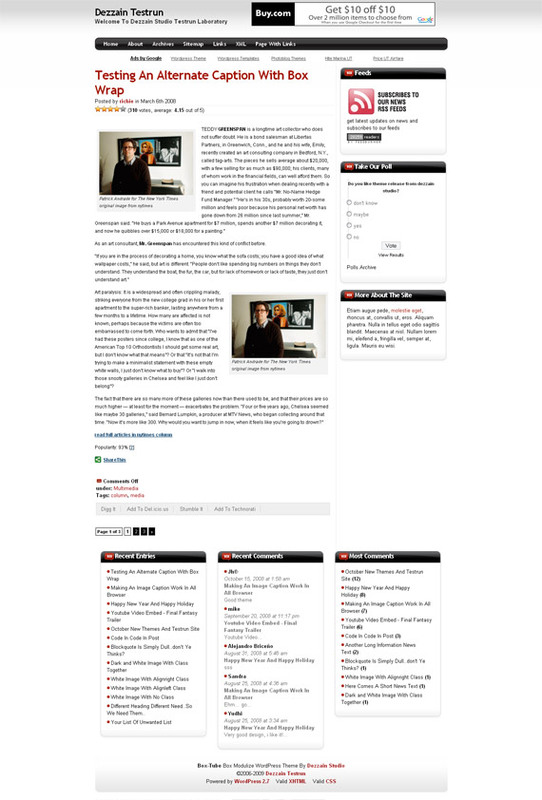 Of course, checking out demo pages give a lot better overview, but usually take a long time too. One more thing – I am adding also release date,month or year to each theme, so you can know how fresh and compatible with new WordPress versions that theme might be. Enjoy! This is a 3 column based design with a third dimension for the second column. This theme supports wordpress 2.7.1 and works well with the zdcomments widget (which is used to display the top commenters). An elegant design with a clean and simplistic look. 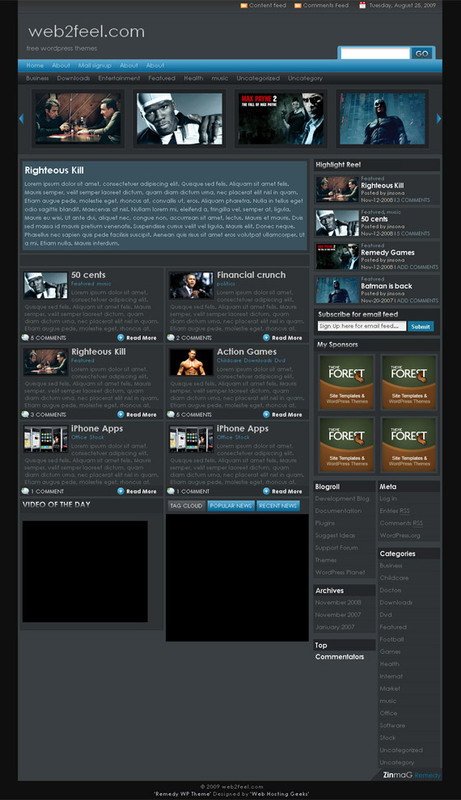 Comes with fully customizable theme options page, Adsense ready, twitter ready, widget ready sidebar and jquery tooltip. 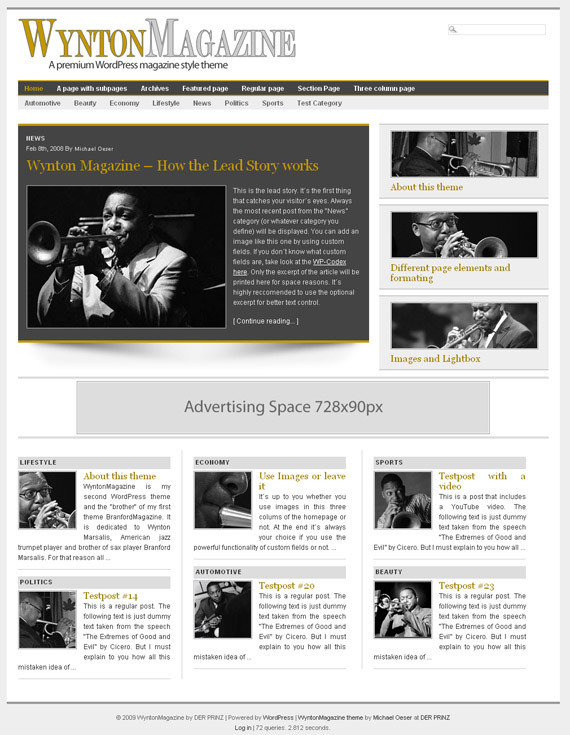 Magazine style WordPress theme with built-in featured slider, featured video, and lots of other features. 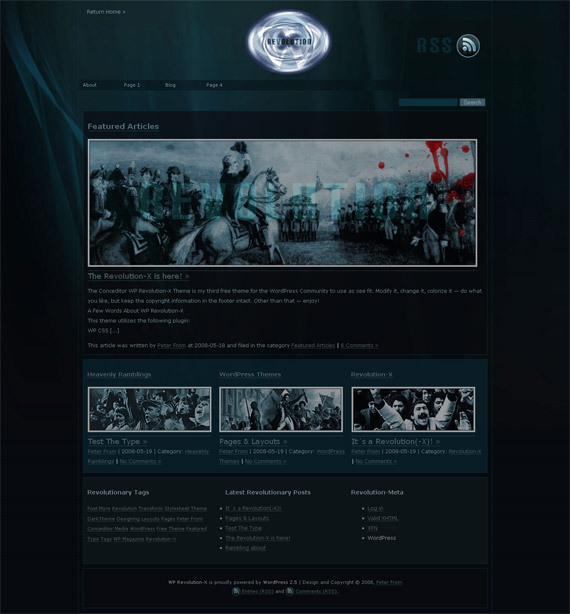 It is a free theme.The left sidebar is very useful. 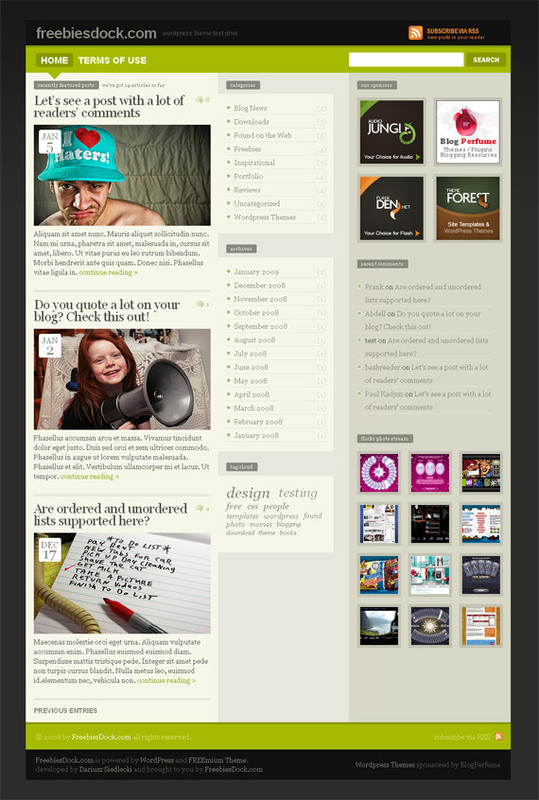 Potrika is a Magazine Style mixed column free wordpress theme featuring a great combination of usability and outlook. 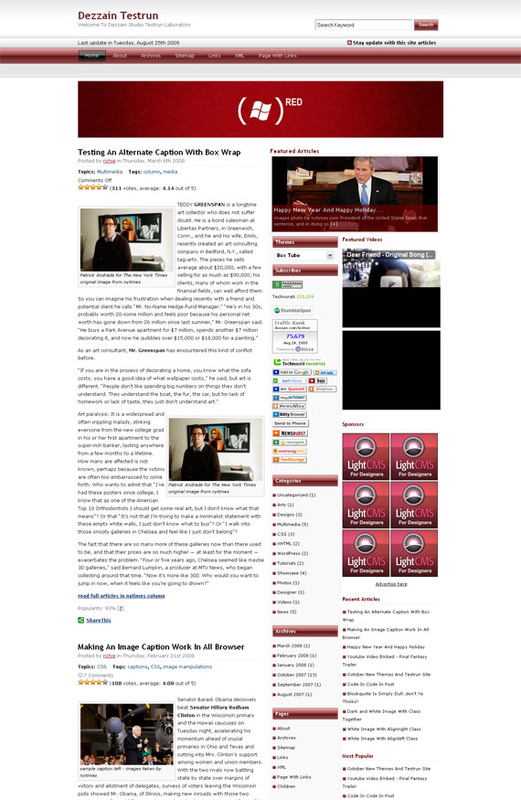 The theme is 100% widget, adsense, feedburner ready, features a editable .PSD logo and works with all major web browsers. 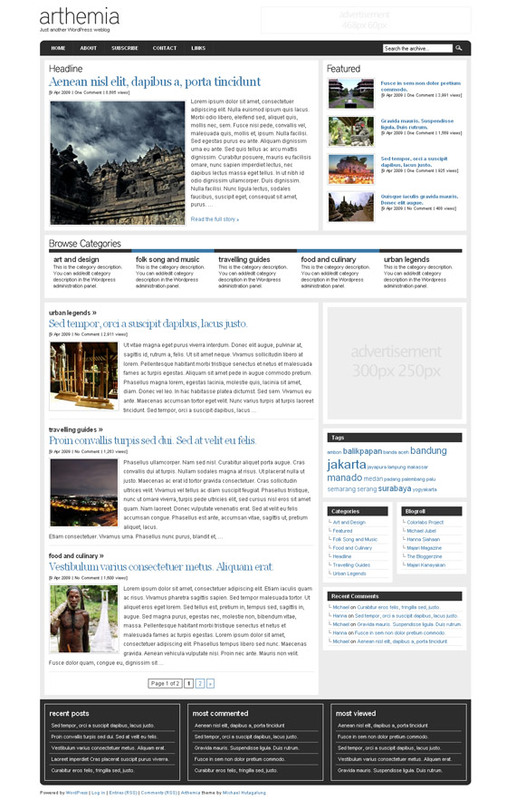 Arras Theme is a WordPress theme designed for news or review sites with lots of customisable features. 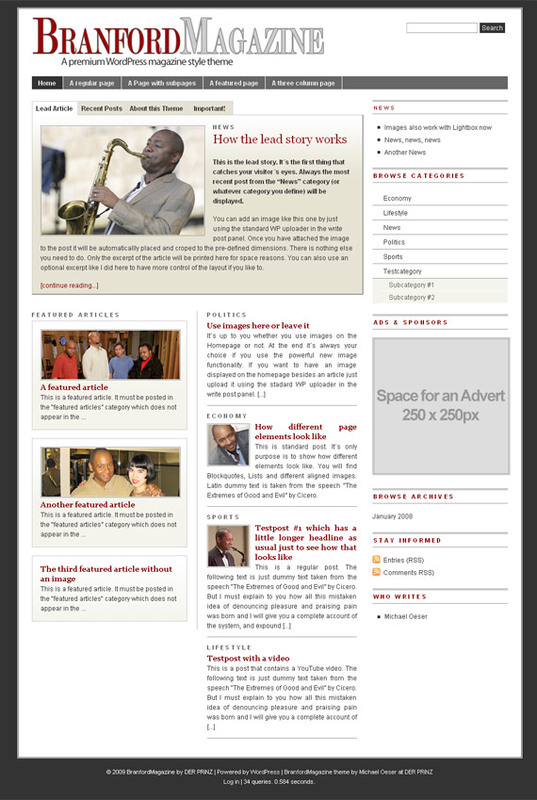 It comes with 5 different news layouts to customise your front page, and an integrated theme options page for you to adjust the theme to your liking. Best of all, you do not need to pay a single cent to download it! Magasin Uno is a premium quality WordPress theme with Featured Post Gallery, Feedburner Email Subscription, Twitter Account integration, Popular Posts, Automatic Thumbnail Resizer, Adsense ready with advertising blocks easily customize via an Option Page. 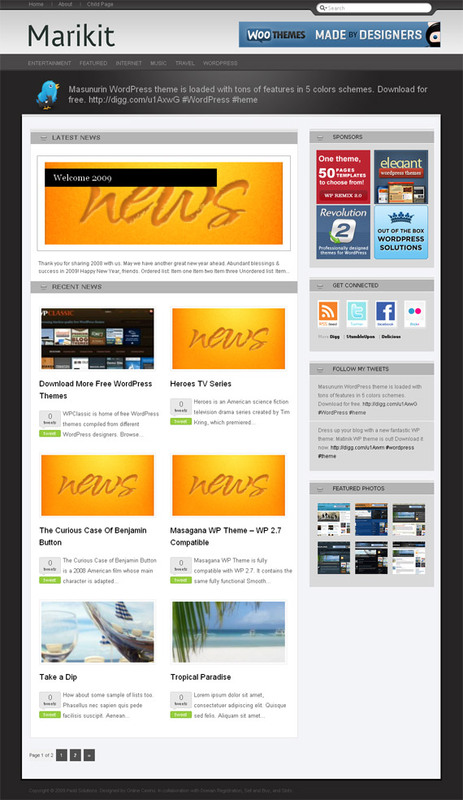 Masunurin is a featured-packed and multi-colored free WordPress theme with TweetMeme retweet button. It has 2 columns, with an easy Options page for customization. Loaded with Social Bookmarks button, Twitter Account integration, Automatic Thumbnail Resizer without using a plugin or custom field, Adsense ready with lots of advertising blocks. 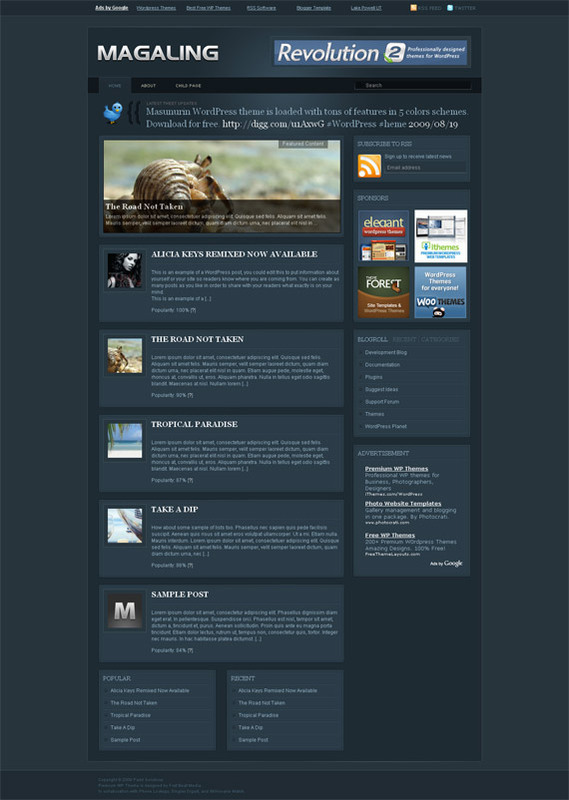 Marikit is a featured-packed and multi-colored free WordPress theme with TweetMeme retweet button. It has 3 columns, with an easy Options page for customization. Loaded with Social Bookmarks button, Twitter Account integration, Automatic Thumbnail Resizer without using a plugin or custom field, Adsense ready with lots of advertising blocks. 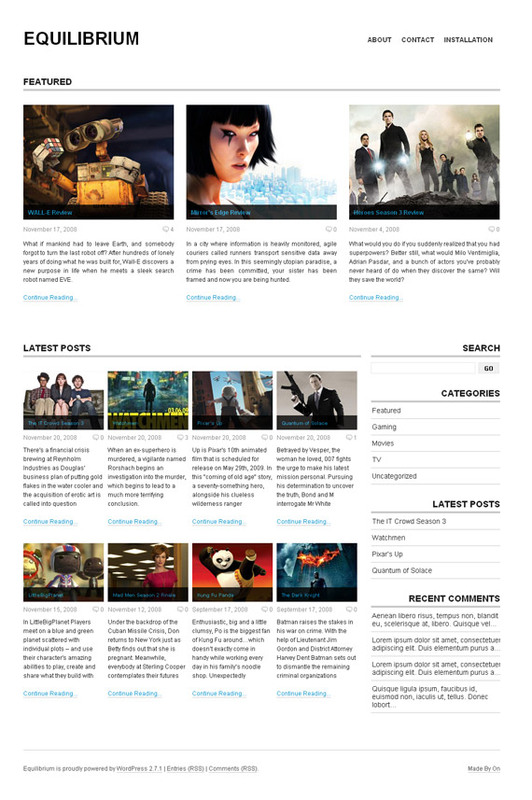 Marangal is a featured-packed, multi-colored and 3 columns free WordPress theme. It has an easy Options page to customize your theme. It is loaded with Feedburner Email Subscription, Twitter Account integration, YouTube Video integration, Flickr Thumbnails, Automatic Thumbnail Resizer, Adsense ready with advertising blocks. This theme is meant to be a theme purely for news site. 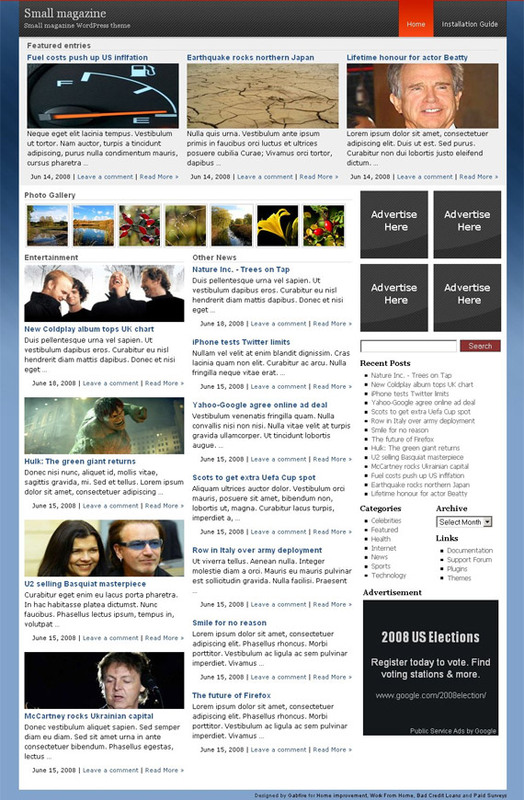 It has extra widget sections, double navigation menus, drop-down menus, a featured slider, and pretty much anything you’d need to run a complete news site. 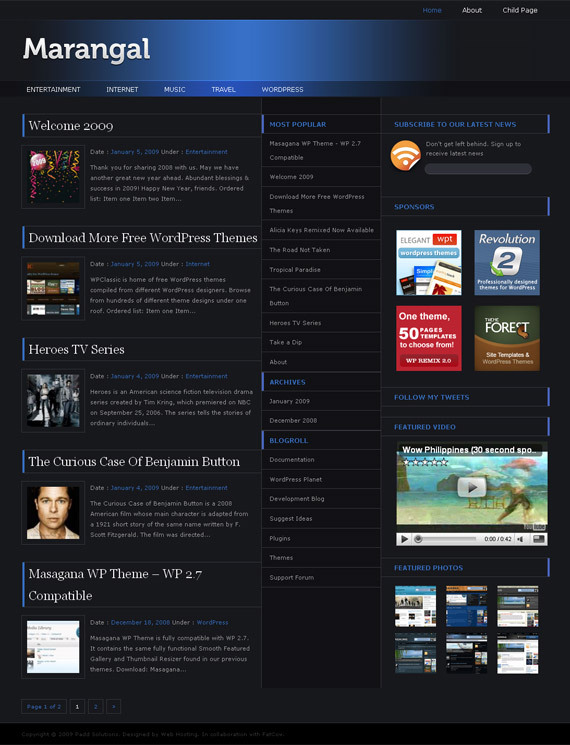 It was developed for WordPress 2.8+. 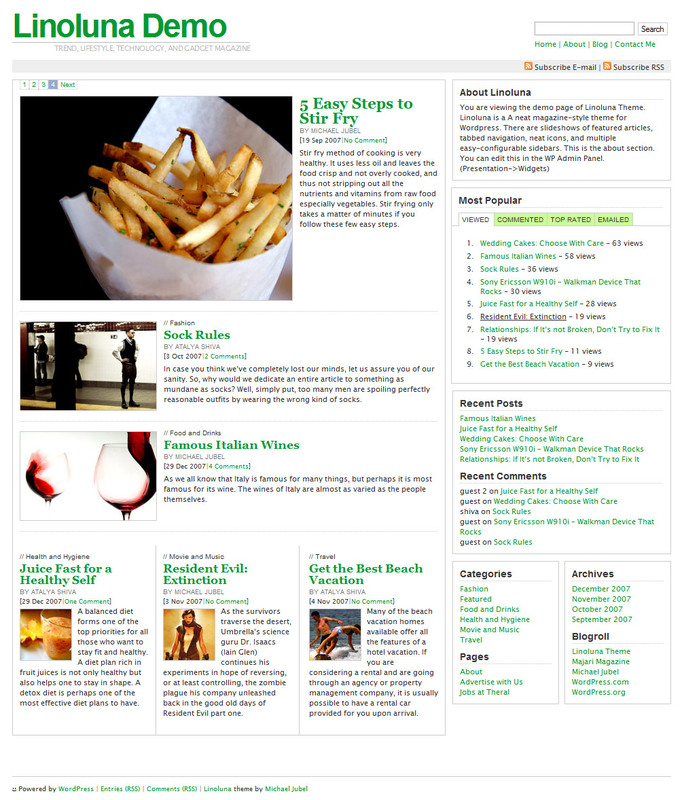 This is an elegant theme designed with attractive color combination for blogers who look to make money online via ads. This theme is suitable for any niche. 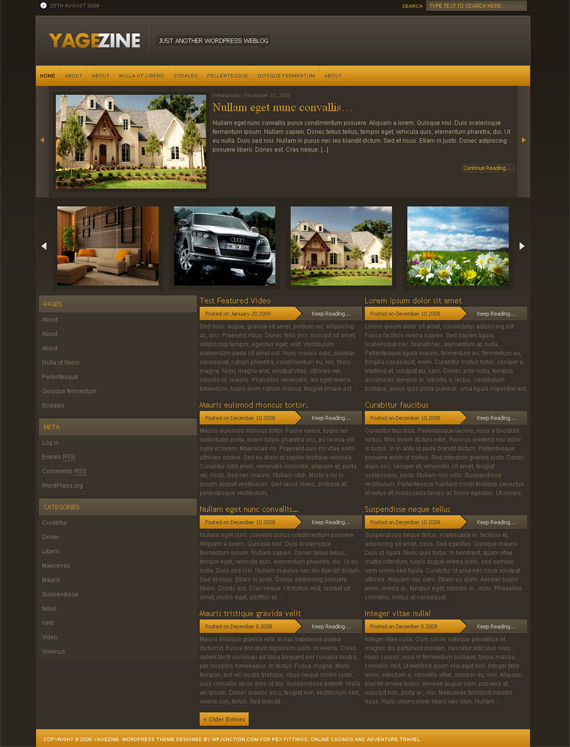 The theme layout is stylish and dynamic contents modules like, image slider, tabbed content area are built into it. This is an elegant theme designed for bloggers who like light colored or bright colored themes. 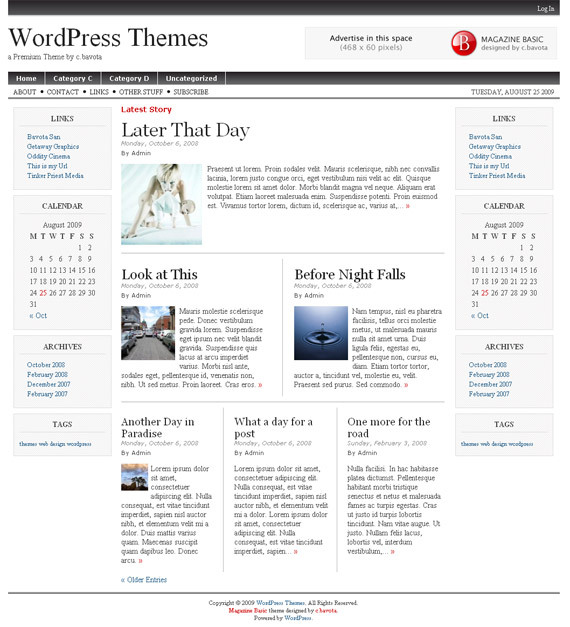 This theme is suitable for any niche.The theme layout is stylish and dynamic contents elements are built into it. 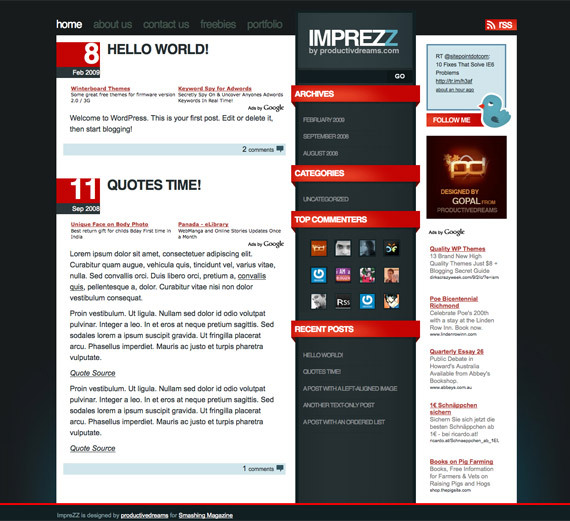 Primus is a magazine style wordpress theme. This is designed with a light color layout. 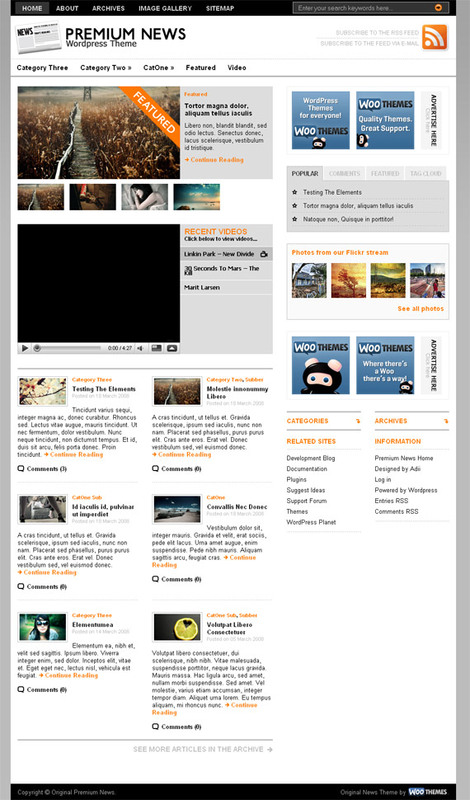 Masigasig is a featured-packed, multi-colored and 3 columns free WordPress theme. It has an easy Options page to customize your theme. It is loaded with Featured Content Gallery Slider, Feedburner Email Subscription, Twitter Account integration, YouTube Video integration, Flickr Thumbnails, Automatic Thumbnail Resizer, Adsense ready with advertising blocks. 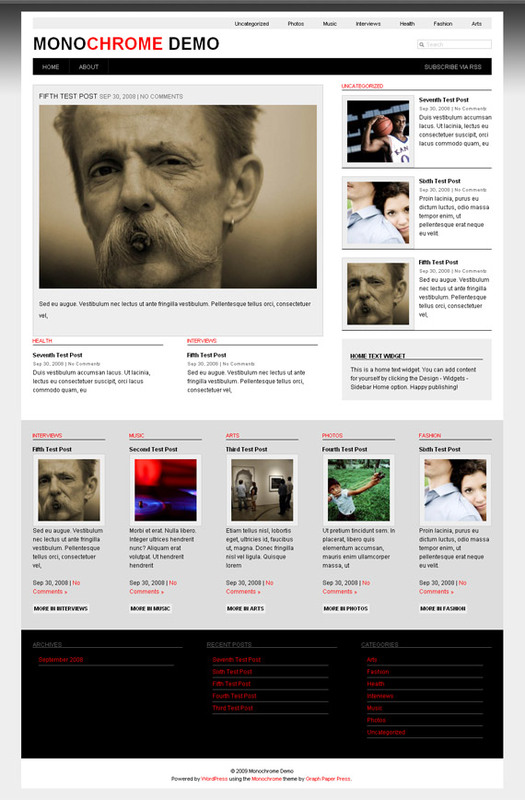 MIMBO is a clean, customizable magazine-style theme for WordPress. It’s also a simple framework which can be modified with child themes, discussed further down in the documentation. Read more about the latest features. Arthemia is combining a magazine and a weblog into one; it is not too magazine-ish nor too blog-ish. Purple Fever is a fresh 2-column styled premium WordPress theme by WTM, created for sites that wish to establish a lasting impact with visitors. Users looking to maximize their Google adsense or affiliate revenue will also find this theme of great promise. Whether you plan to customize this theme or not, it’s sure to leave your readers impressed. 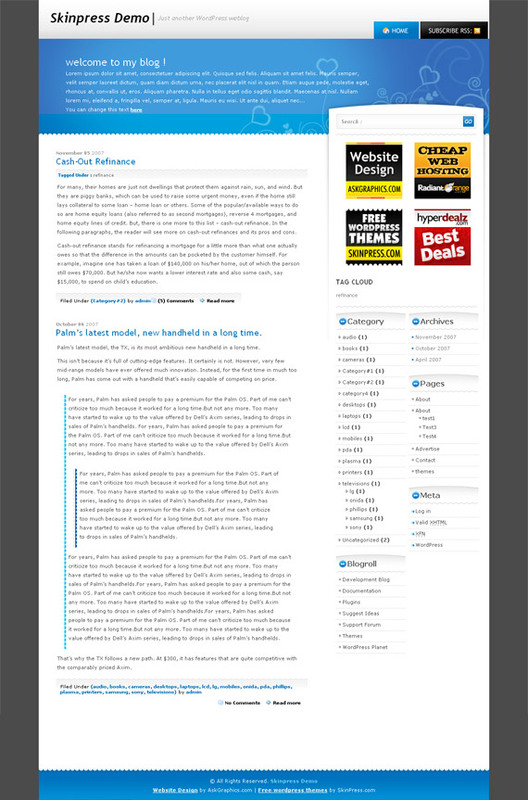 WPFreemium is a two column WordPress Theme heavily designed for multi-authored blogs. WPFreemium features a deep integration of Gravatar images for all post authors, author profiles, and comments. Some of the primary goals for creating this theme was for it to be light weight, fast, and really highlight on the contributing authors. 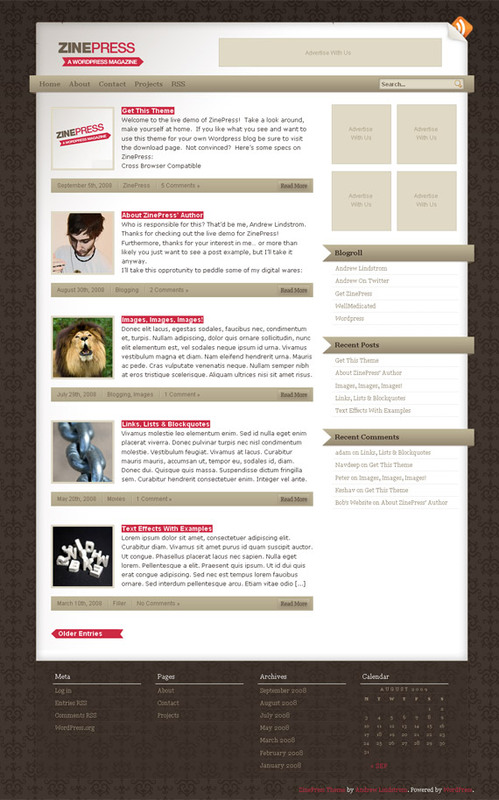 A 4-column/grid WordPress theme, fully widgetized. There are effectively 4 widget ready sidebar areas in this theme. 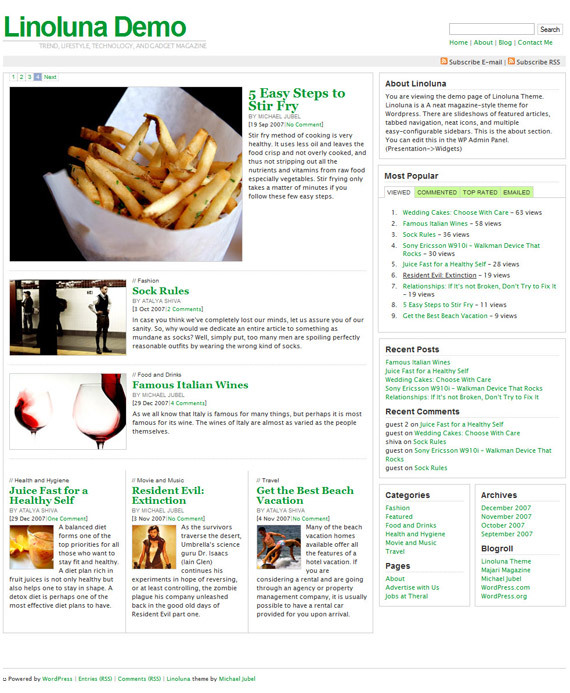 Posts are displayed in a newspaper or magazine style grid format, with the first post shown full width. Probably works best with 3 or 5 posts per page. Ultimate Baseball comes pre-skinned for the Boston Red Sox, but built-in control panel options let you change imagery and scorecard info and blog for any team! Could be also good magazine theme for everything with a little bit customization. Inspired by the well-known Mimbo theme by Darren Hoyt, OpenBook is a free Magazine style WordPress theme, which doesn’t require you to manually edit a file. 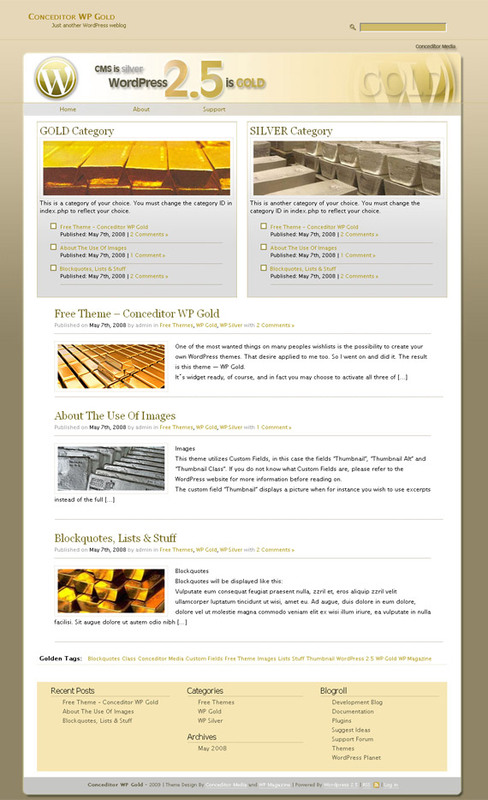 Box-tube are a 2 column theme with widgetize sidebar and widgetize 3 column footer. Box Space should enough to accomodate 250px wide ads such as banner or inputing 4-6 125×125px banner are also a breeze. Magaling is a premium quality WordPress theme with Twitter status integration. Additional features include Featured Post Gallery, Feedburner Email Subscription, Popular Posts, Ajax Tabbed Sidebar, Automatic Thumbnail Resizer, Adsense ready with advertising blocks easily customizable via an Option Page. 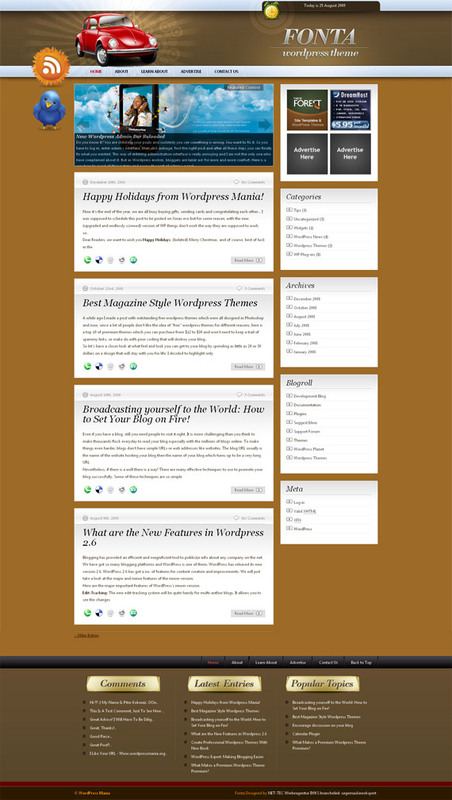 ZinePress isn’t really an overcomplicated magazine theme, but she’s not exactly a run-of-the-mill blog design either. Zinmag tribune is the latest magazine theme from the zinmag series. 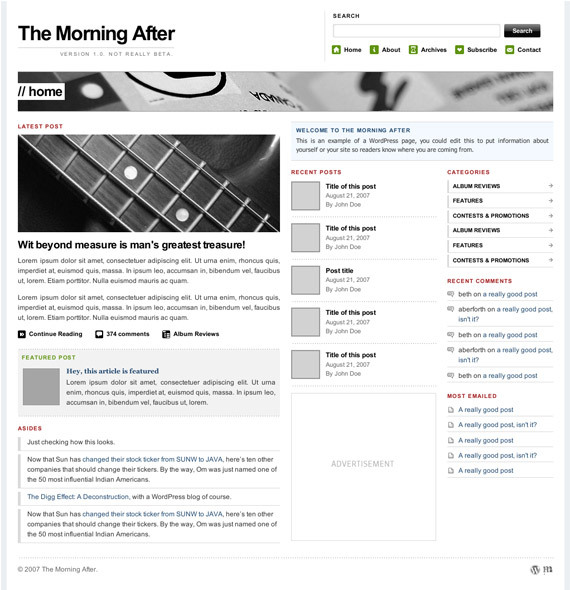 This theme is designed with a newspaper layout. It is bundled with all the premium theme features and a custom admin panel to enable its different modules. Free support is available via the support forums. 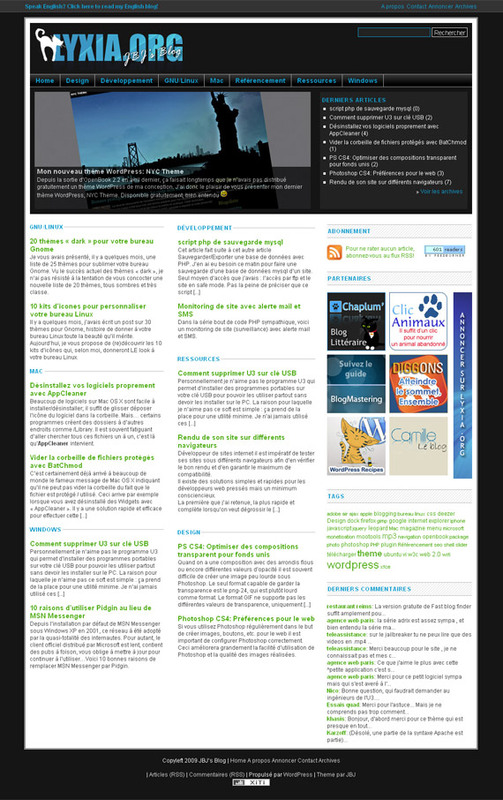 Forexpress is a new magazine theme designed with financial world and politics niche. 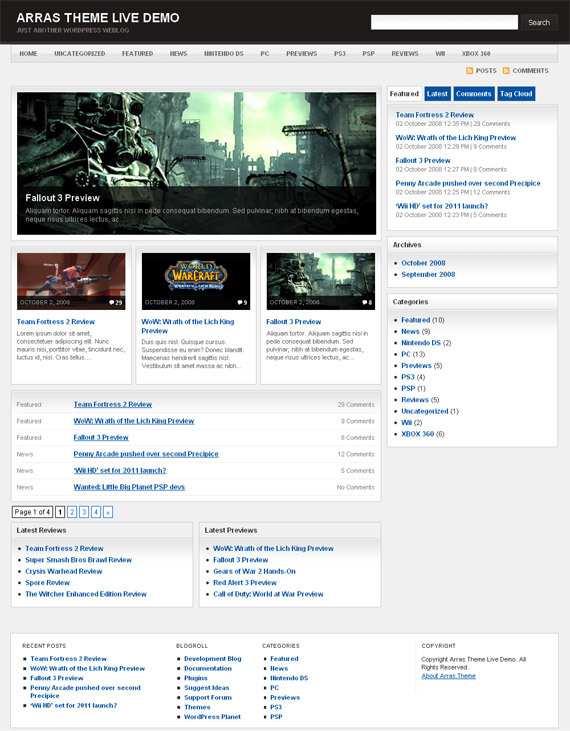 The theme is powered with theme options page for easy setup. Zinmag-futura is a magazine theme from jinsona designs. 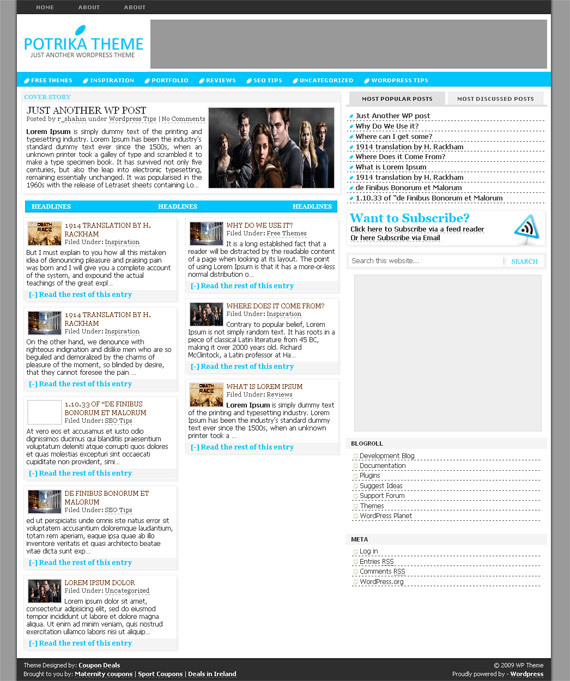 This is a 3 column magazine wordpress theme designed to power up your site as a powerfull CMS. 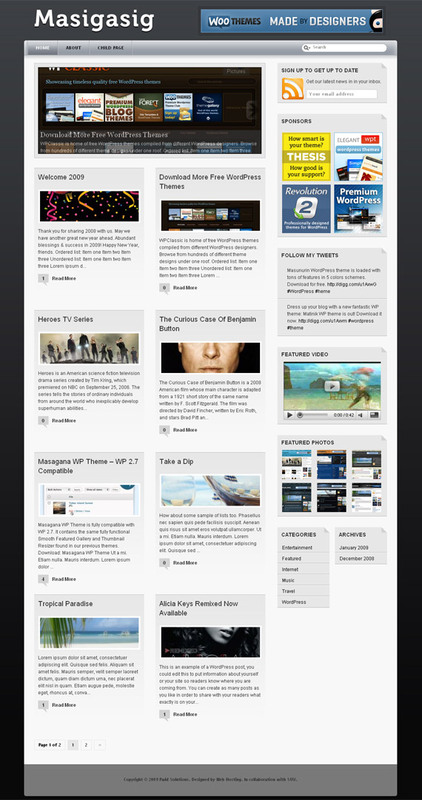 Theme is bundled with lot of cool features you would like to have on your site. It has a featured post carousal, featured post section, A headlines corousal,Twitter badge, flash tag clouds, featured video section, miniposts with thumbnails, mini admin panel, etc. 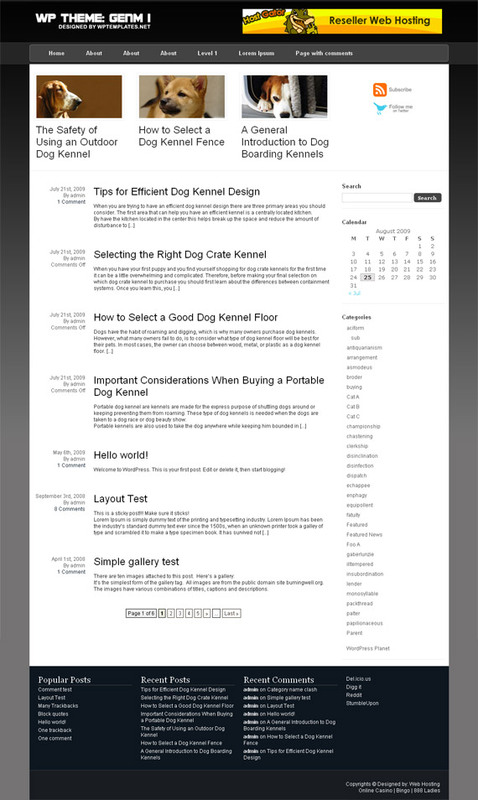 The theme comes with a setup guide to help you customise it to suite your site best. 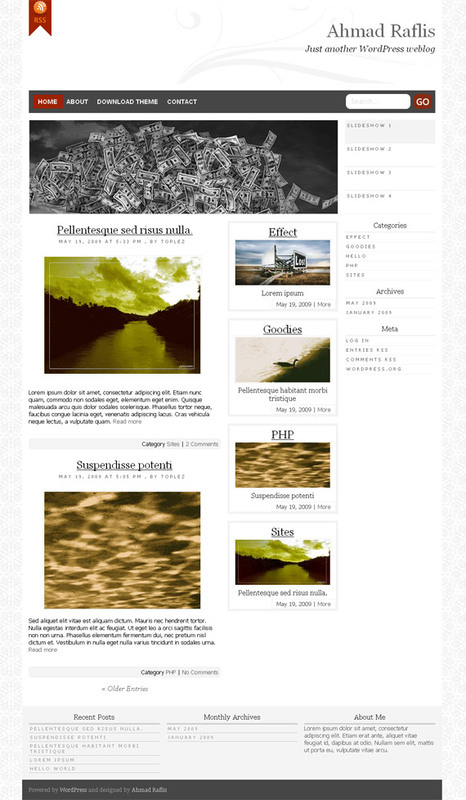 Monochrome Gallery is a free widgetized theme for WordPress packaged with an author archives page, AJAX slideshow, categorized posts with thumbnails on the homepage and a CSS framework to aid in customization. 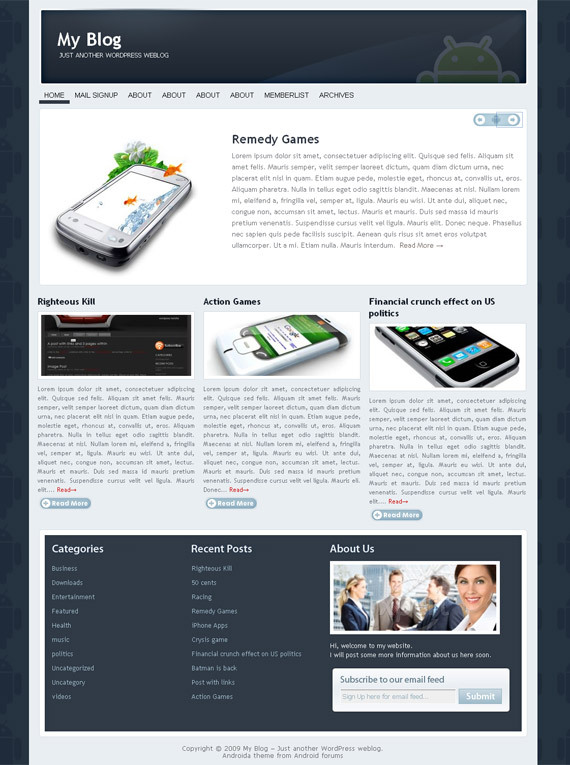 Androida is a business template based on wordpress. It is based on Android phone niche. 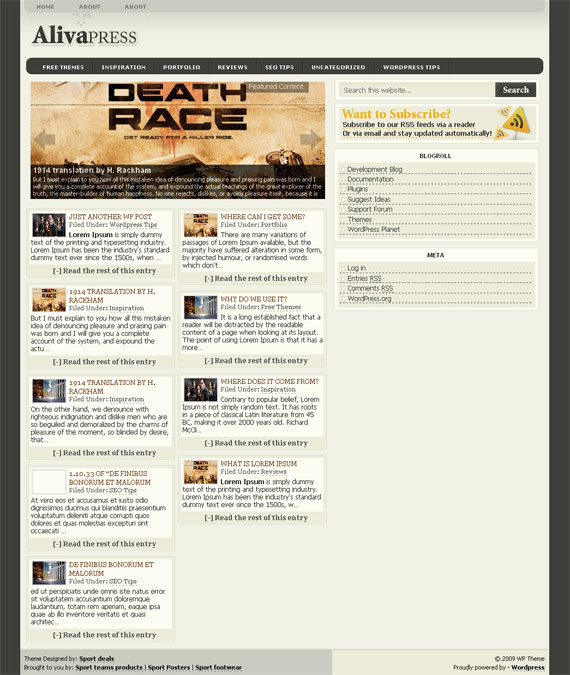 The theme also comes with an optional blog layout. 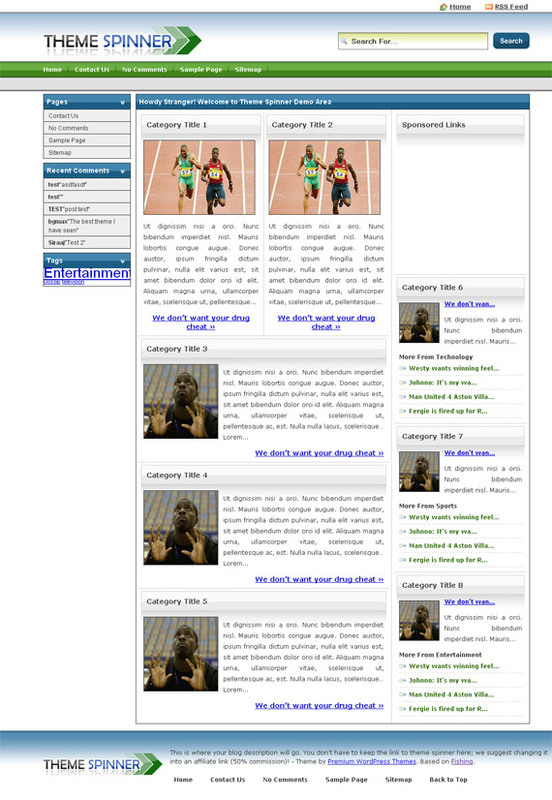 Users are given the option to choose between business template layout and regular blog template layout. Theme is powered with featured content glider, featured posts, featured video, banner ads, widgetized sidebars, feedburner subscription form etc. Brightnews comes up with 3 big features: 1. It’s magazine style, 2. It’s Free and 3. It’s noob ready. Bored of usual WordPress template? Well, magazine-style themes is now becoming a trend. With Linoluna, you will be brought to a new level of blogging. 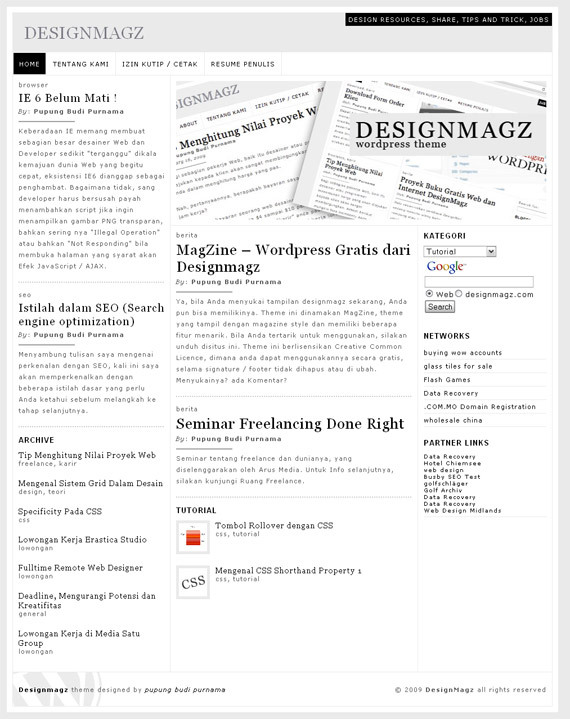 It is a simple and neat theme for a magazine-styled blog. 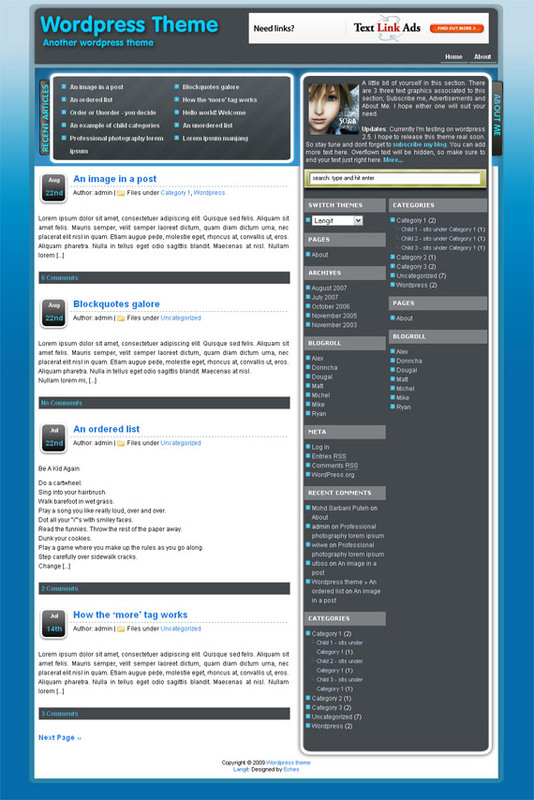 The theme use the WordPress’ template tags quite extensively but still, it is very easy to use. Linoluna best suits a multi-author WordPress blog.